Facts of our sailing territory on Wikipedia. The artifical lake Bautzen is our sailing territory. Located in the north of Lausitz mountains and with a round shape it is good for all wind directions. There are prevailing west winds. The infrastructural facilities are very good. 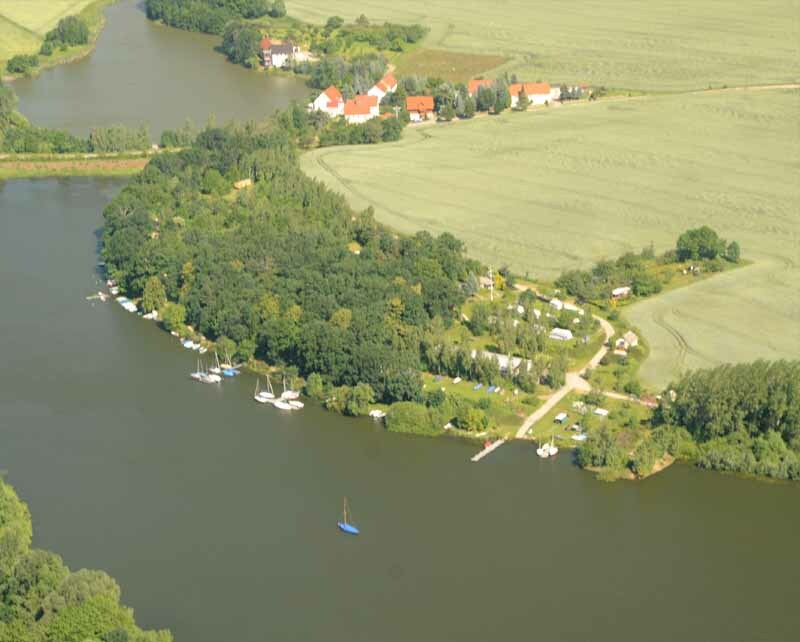 To be close to be the highway A4, in the vicinity of the city Bautzen, there are a campground, beachbar, minigolf course and near by supermarket. Gas-operated boats are forbidden on the lake. Exceptional case is training and races for us. We sailing on the lake with dinghy right up to small cabin boats. fishing club Anglerverein 1965 e.V. Bautzen. In opposite of the club you find the Seesportclub Bautzen e.V. with cutter rowing and sailing. Our club area photographed by helicopter in june 2009.